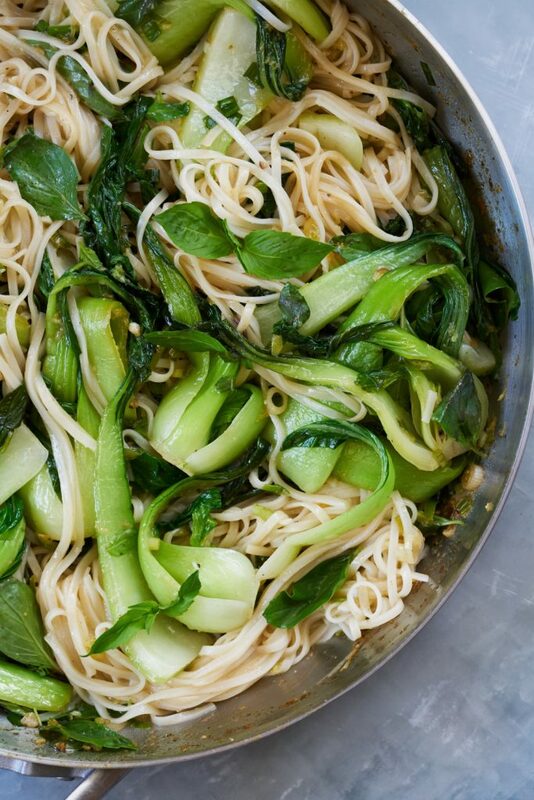 Bok Choy Noodle Stir Fry & Holy Basil – It’s sweet, spicy, savory, and DELICIOUS. The cherry on top? It’s ready in less than 30 minutes. And see below for the vegan oyster sauce recipe I use! 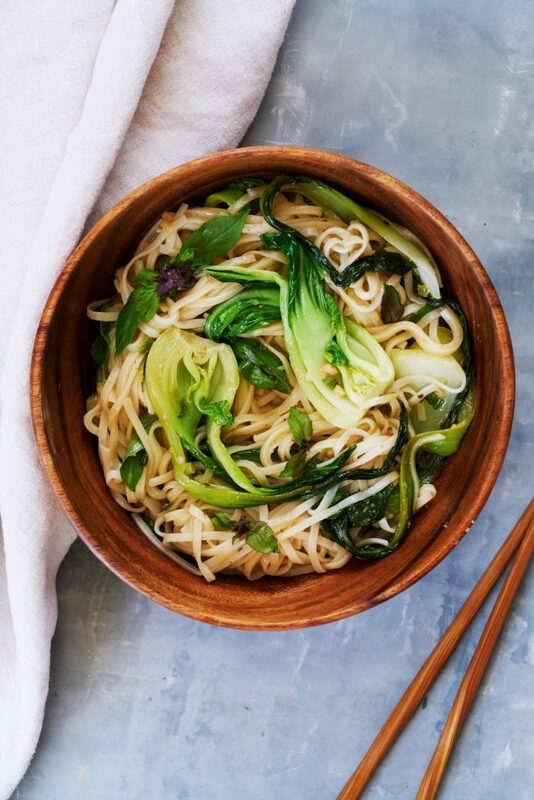 Thai noodles with bok choy and holy basil – It’s sweet, spicy, savory, and DELICIOUS. The cherry on top? It’s ready in less than 30 minutes. Heat your water to cook the noodles. Heat your oil over medium-low heat in a large fry pan or wok. Add your garlic and Thai chilis and cook until fragrant. 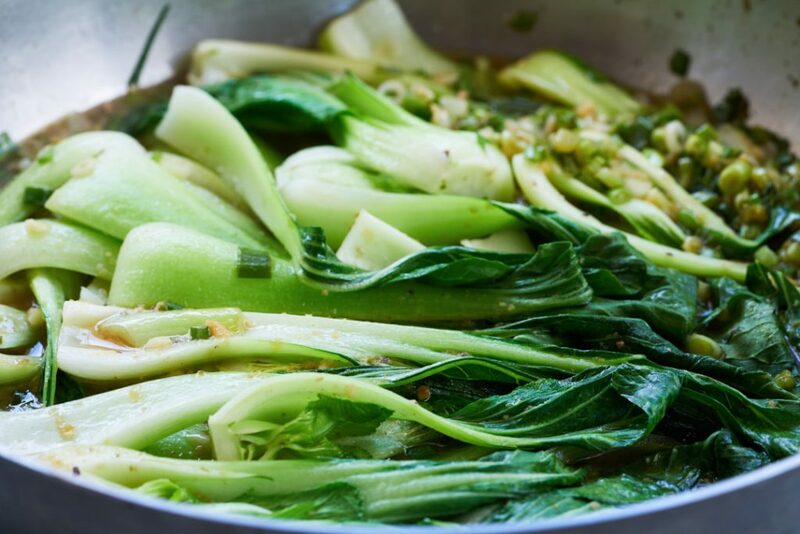 Add the scallions, ginger, and bok choy. Stir well. Cover to steam for 2 minutes. Raise the heat to medium. Add the water, fish sauce, oyster sauce, and honey. Stir well. 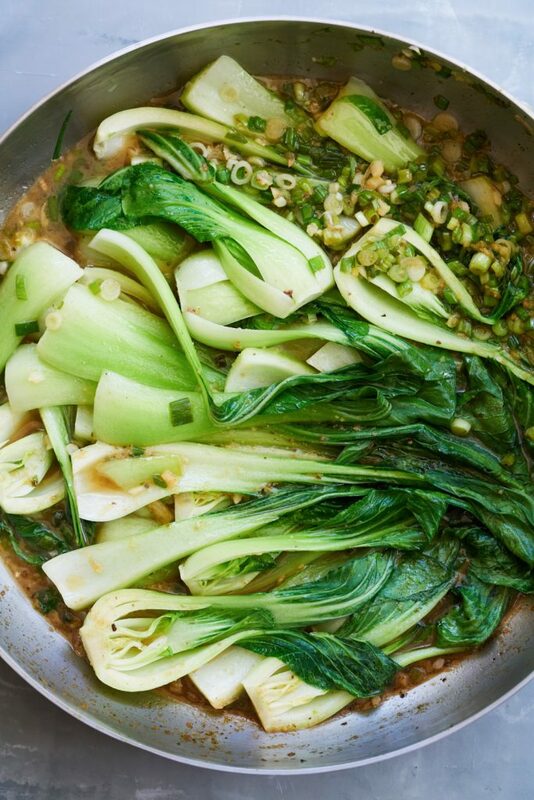 Cook 2-3 minutes until the bok choy greens get bright, then turn off the heat. Cook your noodles per the package. Should take 3-5 minutes. Strain the noodles and add them to your stir fry. Add the basil leaves. Mix well, and serve! We spent 3 months in Thailand and I miss it regularly. 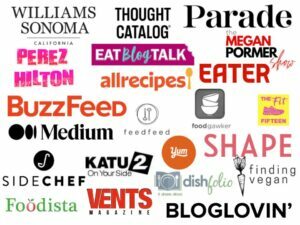 Lucky for me, I brought back a ton of food wisdom and even took a cooking class while I was there. Though this one is far from a classic Thai dish, it brings back all the wonderful memories and hopefully takes you on a mini-vacation with each bite. You can never go wrong with a noodle stir fry! Don’t let the size of the Thai chilis fool you – they are packed with wonderful spiciness. So if you’re sensitive to spice, I recommend only using 3-5. Interested in adding more protein? You can add some tofu between steps 2 & 3 – make sure you sear it on on all sides. Also, you can add chicken, beef, or any other protein you choose. However, make sure your protein is cooked before step 3. Can’t get enough Thai noodles? Then try my recipe for Tofu Pad Thai. 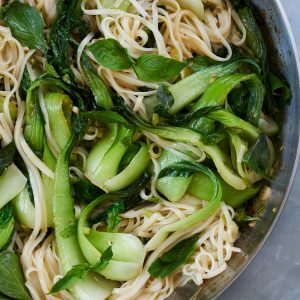 It’s completely different from this bok choy noodle stir fry even though it uses the same pad Thai noodles. I don’t eat shellfish. Is there a vegan oyster sauce? 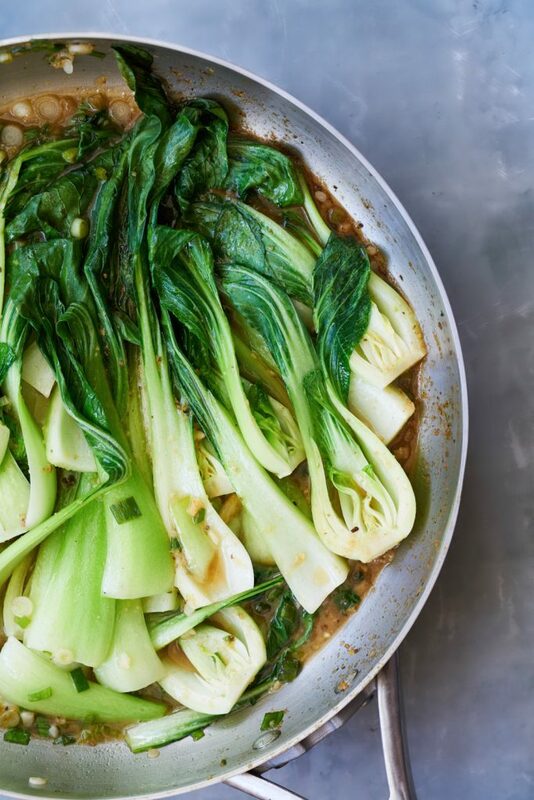 If you’re in the market for a vegan oyster sauce, this recipe by Omnivore’s Cook is the one I use. The oyster sauce keeps in the refrigerator for 7-10 days. How big of a pan do I need for this noodle stir fry? And this AWESOME sized pan shown in the photos is from Calphalon…click here to shop. You can use a wok if you have one, but a large fry pan works just fine.